Young Stowaways in Space, by Richard M. Elam, is bad, and also very boring. It was published in 1960, but it’s set in a future where space travel is common and a robot maid is possible but you have to program it by hand. Read the rest of this entry ? Yesterday I discovered Gutenberg Canada. How I managed to overlook its existence until now, I’m not sure. But it’s there, and it has lots of cool stuff, and I don’t really care that I’m probably not supposed to be accessing it from the US. One of the cool things it has is Trustee from the Toolroom, by Nevil Shute, which is one of my favorite books. When I saw that it was there, I almost started crying, mostly because it’s been that kind of month, but also because I love it a lot. When I was in college, a read a post on someone’s blog about the fictional characters you love and support unconditionally. Not necessarily the ones who are always right, or most lovable, but the ones to whom you want to say, “if that’s what you want, I want you to have it.” Even if it’s not what’s best for them. The blogger mentioned Keith Stewart, the protagonist of Trustee from the Toolroom, as being one of those characters for her, so I looked up the book. My school library had a copy. I borrowed it. Some books, when you read them, become a part of you, you know? Keith Stewart is a quiet, self-effacing man. He works as a mechanic until after World War II. Then he manages to make his hobby — miniature, working models of machinery — into a full time job. He doesn’t make very much money at it, but he’s happy. For me, the two most important parts of this book — aside from every time anyone is a little starstruck on meeting Keith — are where he is at the beginning and where he is at the end. There’s a quote at the beginning, about three paragraphs in: “He was a quick worker and a ready writer upon technical matters, and he delighted in making little things that worked. He had now so ordered his life that he need do nothing else.” It makes me tear up a little every time. His wife, Katie, is sort of similar. She works in a shop, more because she likes it than because she needs to. Both of them are impractical about things that don’t directly touch them, but that’s okay. They’re fine. They’re more than fine; they’re good. But then Keith’s sister and brother-in-law leave their daughter in Keith and Katie’s care while they sail across the Atlantic, and it…doesn’t go well. Keith finds himself in the position of having to get himself halfway across the world, and having almost no money to do it with. It’s kind of a fairy tale, this story, because if the structure and because of the way the world works. Keith has a quest to complete before he can return home, and it breaks itself into a number of different tasks — supplying provisions for a boat, inspecting a lumber mill — doing things for people who can get him where he needs to go. His area of expertise is sort of narrow, but it works for him, partly because this takes place in a universe with a comfortable underlying morality. Keith gets what he deserves, in a way that will make you feel good about the world. And maybe that’s most of the appeal — that and the pleasure of reading about a person who’s very good at something, described in enough detail to be convincing. Competence is so nice to read about, and Keith Stewart is so good at what he does, and so conscientious, and yeah, I unconditionally support him, too. Does anyone want to recommend books about people who are very good at their jobs? These are the top three, and I’ve put them in an order, but it’s not an important order. These are some of my favorite books, and I love them too much to be able to judge which I love the most. I have no idea how I managed to write anything about them, or why I thought I could in the first place. If you asked me about any of these three books in person, I would gape like a fish and flail a little bit. This is not speculation; it is a thing I’ve done. A note on illustrations: All three of these books have illustrations that are inextricably bound up with the experience of reading the books. 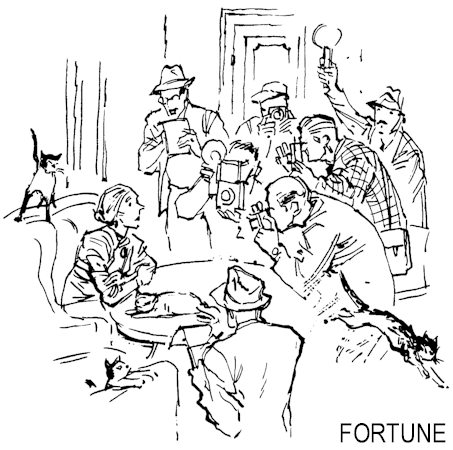 These aren’t after-the-fact illustrations: Ruth Gannett’s were done by her stepmother. Russell Hoban’s were done by his wife. Jean Merrill gave Ronni Solbert a cameo in the book. So if you decide to go looking for any of these books (do! ), make sure you get the original illustrations. Read the rest of this entry ? I ordered Snobbery with Violence, by Colin Watson, on the recommendation of Cristiane, and on the whole I liked it, but I do have some reservations. Well, a lot. Snobbery with Violence is a discussion of some of the most popular authors of crime fiction between, approximately, World War I and the 1960s, when the book was written. Watson’s premise is that an era’s most popular fiction tells you the most about its reading public, and obviously that’s a thesis I can get behind. What bothered me was that most of the snobbery involved seemed to come from the author. Colin Watson may think he likes mystery novels, but my impression is that he hates them and the people that read them. Read the rest of this entry ? I’m always surprised when I see anything published more recently than, say, 1930 on Project Gutenburg. And when I do, they’re usually science fiction stories that I have no interest in. So It’s Like This, Cat was even more of a surprise, because it feels like an old paperback I would have randomly picked off the shelf in school in 4th or 5th grade. It’s Like This, Cat is by Emily Neville, and it won the Newbery Medal in 1964. Apparently it was considered very original at the time, because of the very informal narration, which is not only first-person, but also in the present tense. I’ve never been a fan of narration in the present tense, and Neville’s style is bald and uninteresting, but it’s an okay book. I think maybe it’s originality was most of what it had going for it, though, so now that its innovations are no longer new and exciting, it seems kind of typical. Read the rest of this entry ?